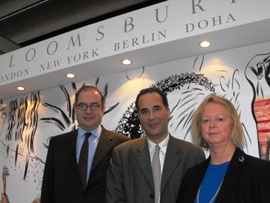 Bloomsbury, working in concert with the Qatar Foundation, has launched a publishing operation in Doha. Bloomsbury Qatar Foundation Publishing (BQFP)will publish in both English and Arabic, focusing on books of 'excellence and originality' in both the trade and educational/academic spheres. Titles will be published around the world by Bloomsbury and translation rights sold where appropriate. Bloomsbury already has links with Qatar - the first edition of Q Finance: The Ultimate Business Resource will launch next year. This is a separate endeavour, though it clearly builds on the bridges of the first and was first whispered about in Abu Dhabi this spring. 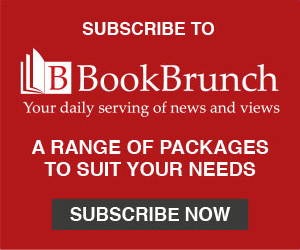 Nigel Newton, Founder (with Liz Calder et al ) of Bloomsbury and its CEO, will be Chairman of the Management Committee, Kathy Rooney, Joint MD of Bloomsbury Verlag, will have primary responsibility for its operation. An MD and publishing director, both based in Doha, will be recuited locally, and it is envisaged that a staff of 12 to 16 will work out of the office there. The move is the logical outcome of the work of the Qatar Foundation for Education, Science and Community Development, founded in 1995 by His Highness Sheikh Bin Khalifa Al Thani, the Emir of Qatar, and his wife. Its central tenet is that a nation's greatest resource is its people, and to that end the Foundation set up a 14 million square-metre campus which is home to outposts of some of America's most prestigious universities, among them Georgetown and Northwestern. Thus is the knowledge economy being built, the goal being to avoid the brain drain that inevitably ensues when young people leave home to study abroad, never to return. The first students graduated last year, and Qatar now intends to harvest the fruits of their education. Qatar has a high level of literacy, and the state, like its neighbours, has a rich tradition of writing and publishing. But as the world begins to recognise and read Arab writers (Alaa Al Aswany is perhaps the most obvious example) and attend Arab book fairs (Cairo, Abu Dhabi and, next year, Dubai), there is both the opportunity and the need for publishing operations to grow, developing an infrastructure that will allow them to play on the world stage. BQFP will have a mentoring programme, and staff - who must be fluent in English as well as Arabic - will have opportunities for exchange visits and work experience in London and New York. It is expected that the company will publish about 100 books, half English, half Arabic.